Learn how to manage your honeybee colony throughout its yearly cycle. 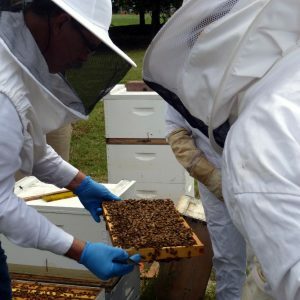 Classes and ongoing support for beginning beekeepers. Beehives and beehive kits, hive components, protective gear & tools, feeders & feeding supplements, pest management supplies. Pre-order bees or starter kits for 2019. Are you interested in starting to raise bees? Small-scale beekeeping is a fascinating adventure and can be rewarding as well. 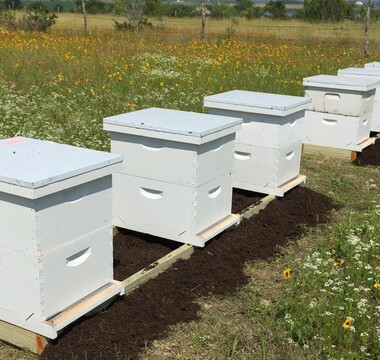 Yet beekeeping in Texas today is also challenging, particularly since the introduction of the parasitic Varroa mite and Africanized bees into the U.S. in recent decades. Did you know that most beginning beekeepers stop keeping bees within only 2-3 years? Without adequate training and a proven plan, few beginning beekeepers make the transition from "bee haver" to successful "bee keeper". 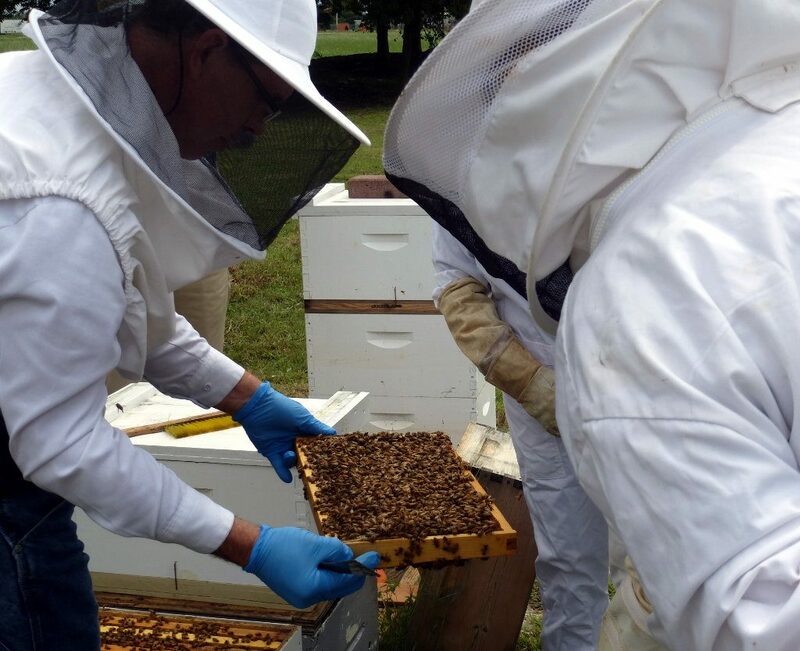 Our desire is to help beginning beekeepers learn to raise bees successfully. We provide training and ongoing support to beekeepers for our beehive management plan. And we provide the bees, equipment and accessories needed to implement this plan. Thank you for an enjoyable and insightful class. As experienced beekeepers, my wife and I have had the opportunity to attend and to present several introduction to beekeeping classes. Your class is different. You cover the basics, but you look beyond the first few months and talk about how a beekeeper can survive the natural colony loss that occurs in today’s environment. You teach a system that not only replaces natural losses, but also allows a beekeeper to increase their colonies and make beekeeping profitable or at the very least a breakeven proposition. The value of what you are doing is to keep new beekeepers from burning out from frustration. Even though we are in our seventh year as beekeepers and have attended many state and even nation conferences, we came home from your class with renewed enthusiasm and fresh ideas that we can use this year. You gave us some valuable pearls of wisdom. Our family first became involved with beekeeping in 1975, when my Dad became a migratory beekeeper, wintering in Texas and traveling to North Dakota for the honey flow. 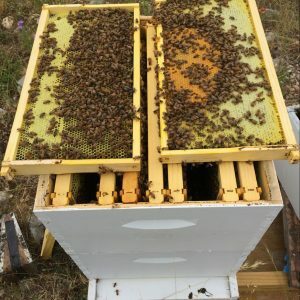 Having raised and worked with bees for many years, I have increasingly become focused on building a model for resilient, small-scale apiaries that are suitable for a family homestead or small farm. Did you know that keeping just 6 colonies of bees on your 5+ acre plot may qualify your property for an “Ag Exemption,” thus lowering your property taxes?